I don’t know about you, but house cleaning is not top of my favourite Things to Do list in life, so anything that saves time is a bonus for me. 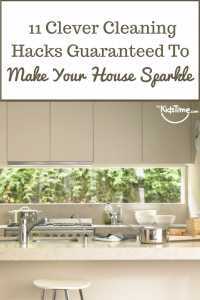 I’ve searched around for some tips and shortcuts to try to make these cleaning chores easier, and the great thing is many use everyday items you’ll have at home already (no nasty chemicals!) 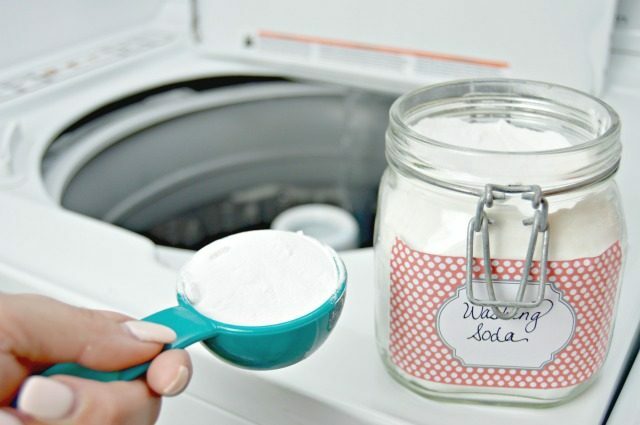 so here are 11 Clever Cleaning Hacks guaranteed to make your house sparkle! 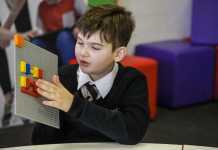 Sign up for our free newsletter full of ideas and suggestions to help parents, find us on Facebook,Twitter, Instagram, YouTube & Pinterest. Please share this with your family & friends if you liked it! 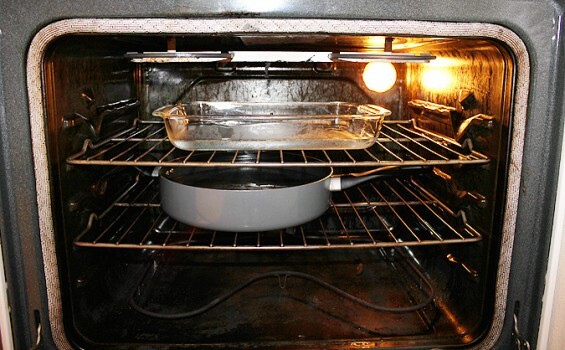 To me, the oven is one of the worst cleaning jobs in my house. It’s always so gunky and hard to clean! And last time I used a commercial oven cleaner bought at the grocery store it took me two attempts and it still didn’t clean it completely. So this oven cleaning hack from One Good Thing by Jillee blog is definitely one I’ll be trying next time! She uses ammonia, water and some baking soda to get the job done easily. 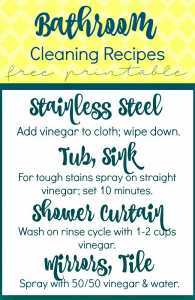 I love these bathroom cleaning tips from Marti at Sewlicioushomedecor.com which you can download and print from her website, just simply using white vinegar to clean different things in the bathroom. Another deadly household cleaning task is the toilet, and if you’re in a hard water area it can be especially difficult to keep your toilet pristine. 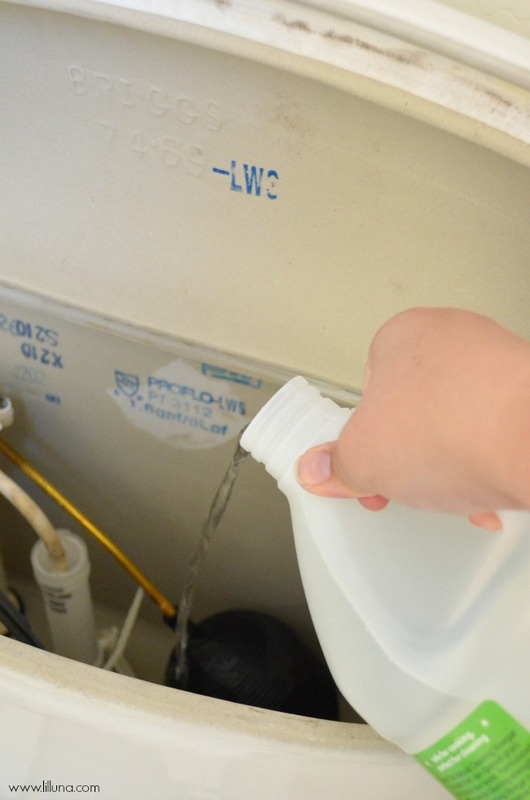 You’ll like this hack from Kristyn at Lil’ luna who gives straightforward instructions on deep cleaning your toilet with an easy method that will also be one you can use over and over. For a straightforward way to clean your pillows this tip from Jessica Kielman writing for eHow is a great one, and I also didn’t know you could make your own washing soda. I like the way she uses some lavender essential oil too. This clever microwave cleaning hack from Becky at Cleanmama.net is so simple! 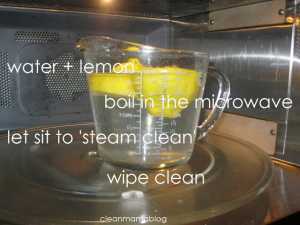 All you need is lemons and water. 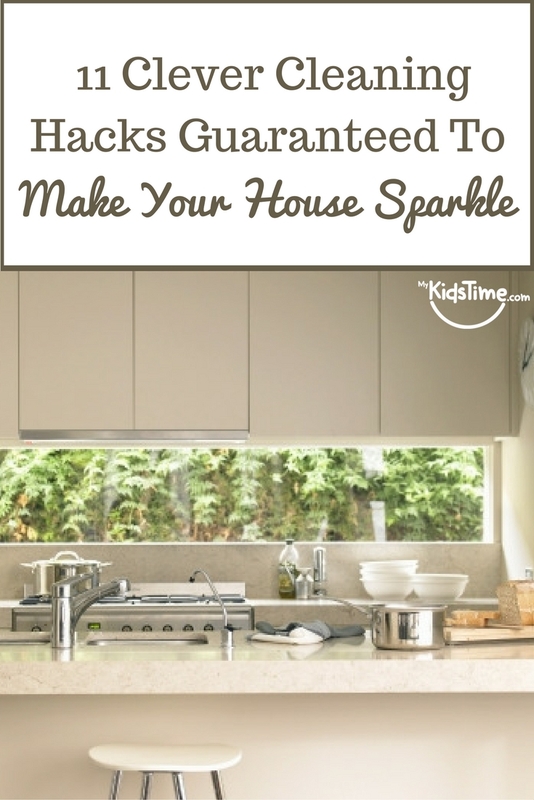 Her blog is stuffed full of lots of tips and free printables so well worth a visit. I have to admit I usually leave this one to the other half! But maybe I’ll give it a go next time with this handy tip from Nifty where you just use olive oil and a potato! I bet it would work on your cooker grill too. Easy Grill Cleaning HackThis easy grill cleaning hack will have your grill sparkling just in time for the holiday weekend! 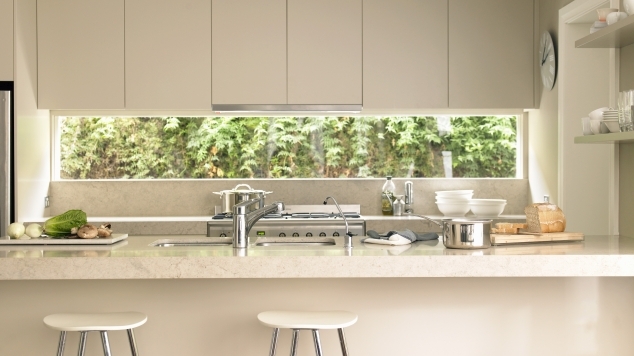 Love this tip from Rightathome, using a sock to clean your window blinds! Just dip the sock into a vinegar water mixture and run your hands along the blinds. Easy! When you see your shower head has built up limescale on it, this quick tip from A Real Life Housewife using vinegar again is so easy. 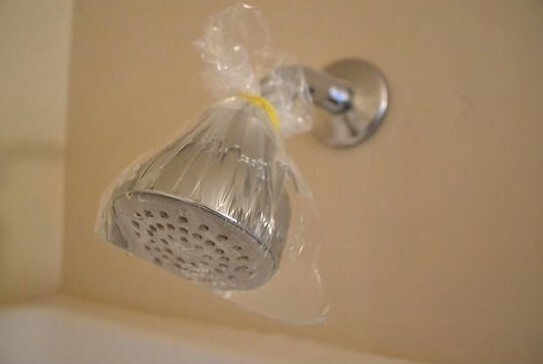 Just hang a bag with vinegar around the shower head, and watch it transform itself to completely clean. This is a great tip from Kim at Exquisitely Unremarkable to remove water stains from wood furniture. 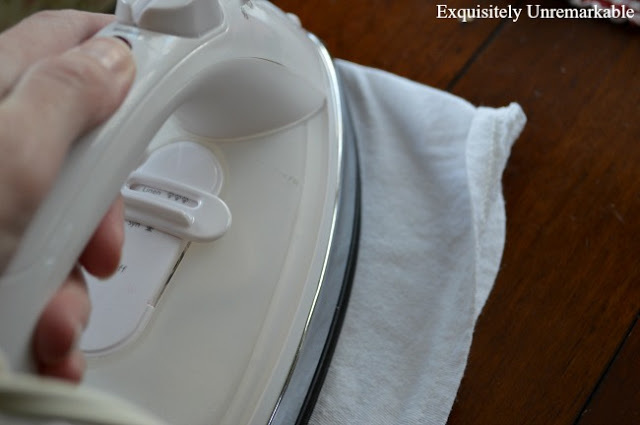 It’s unbelievably simple – she used a hot iron and a cloth! Over to you now, what’s your best cleaning hack? Tell us in the comments below.